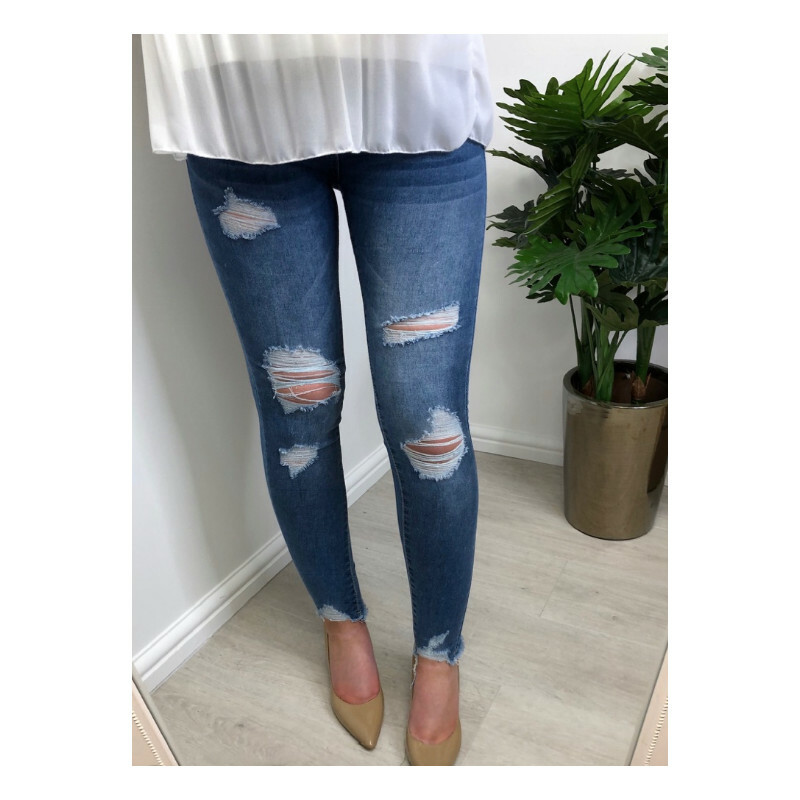 Our Riley ripped jeans are perfect for moving into SS19 in. They are high waitsed jeans with usual denim jean features including a zip and button fastening and belt loops on the waist. The have further detail from several rips along both legs.